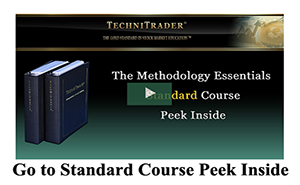 Most Retail Traders who are considering learning how to trade Options, have not heard about the major changes to the Options Market that have occurred over the past few years. These changes have been kept from Retail Traders since the professional side, retail brokers, and retail vendors make enormous profits from their customers who trade options. This puts the Retail Options Trader at a huge disadvantage, which can cause lower profits or more losses trading options. 1. An area that is growing exponentially is the High Frequency Trader presence now in the Options Markets and their use of Maker-Taker roles instead of Market Makers. This alters how options trades perform and creates complexity that is not understood by many Retail Options Traders. 2. Also, the Securities and Exchange Commission continues to monitor several retail brokers for conflict of interest trading, as they perform as the primary Market Maker for their customer base. 3. In addition more and more giant Buy Side Institutions are using Options as a hedging or mitigation style trade, with the sole intent of insurance rather than premium trading. These are short-term trades that alter the Put to Call Ratio which many retail trading strategies rely upon. When the Buy Side employs huge option contract buying of Puts to insure a higher risk short-term trade, it can skew the Put/Call ratio giving Retail Traders a false signal. The Buy Side Institutions simply let the Puts expire worthless as the stock and its option move into profitability. 4. Newer Options Strategies and Options Trading Styles provide a basis for Beginner Options Traders to have better results with their options trading by using the increase in Institutional options trading, the increase in High Frequency Trader trigger activity, and the expanded presence of Professional Floor and Independent Professional Traders in the Options Market. By understanding these dynamics which are altering how Options Trading is evolving and changing the Beginner Options Trader can learn faster, earn higher profits, and lower overall risk factors. This enables the new Options Trader to become proficient faster, regardless of the Options Trading Style they choose. In the chart example below the VIX-X Chicago Board Options Exchange Market Volatility Index was not showing any pattern of volatility or velocity, but was showing instead a lack of volatility. 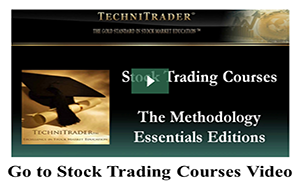 This enables the Beginning Options Trader to choose the ideal stock and option instead of high risk options. In the chart example below the Dow 30 index was moving with extreme speculation. The Balance of Power Indicator in the bottom chart window is extreme, indicating NOT Dark Pool activity but Smaller Funds and High Frequency Traders. It shows the extreme pattern of Volume and Balance of Power indicative of High Frequency Traders chased by Volume Weighted Average Price VWAP Smaller Fund orders. The VIX-X chart in comparison to the Dow 30 chart shows an entirely different pattern for the majority of stocks. Contrarian patterns between these two critically important charts is mandatory for Beginner Options Traders to understand, if they wish to be consistently profitable trading options.